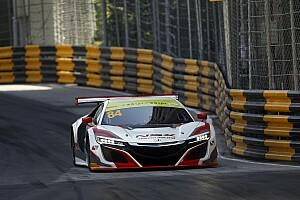 Honda will enter a factory car in the remaining races of the this year's Intercontinental GT Challenge season. Reigning DTM champion Gary Paffett and two-time IMSA GT Daytona champion Christina Nielsen will complete the Intercontinental GT Challenge with the Strakka Mercedes squad. Sometime GP2 racer Nick Yelloly has been named a BMW factory driver for the 2019 season. Former Formula 1 driver Rio Haryanto will make his full-time racing return in the Blancpain GT World Challenge Asia series this year. Supercars ace Shane van Gisbergen will help McLaren debut the new 720S GT3 car at the Gulf 12 Hours this week. Team Turkey won the inaugural FIA GT Nations Cup at the Bahrain International Circuit, with Ayhancan Guven and Salih Yoluc winning Saturday’s main event in their Mercedes. The new McLaren 720S GT3 will make its race debut in next month's Gulf 12 Hours enduro in Abu Dhabi. Augusto Farfus converted pole position in the FIA GT World Cup race into victory in Macau, winning for BMW in Charly Lamm's last race as Schnitzer team boss. Schnitzer BMW driver Augusto Farfus won the FIA GT World Cup qualification race to bag pole position for Sunday's main event. 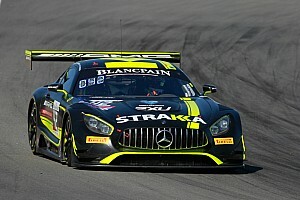 Mercedes driver Raffaele Marciello beat BMW's Augusto Farfus to pole position for Saturday's FIA GT World Cup qualification race with a sensational final lap in qualifying. Augusto Farfus has left BMW's DTM line-up and will take on a more prominent role in its GT racing efforts from 2019. Oliver Jarvis will return to Macau in next month's GT World Cup for the first time since winning the Formula 3 Grand Prix on the Chinese street circuit in 2007. Falken Motorsports will give the 2019 version of the Porsche 911 GT3 R its customer racing debut at the Nurburgring this weekend. Ex-Formula 1 venue Kyalami will join the Intercontinental GT Challenge in 2019 with the revival of the South African track's historic nine-hour sportscar fixture. Le Mans 24 Hours class winner KCMG has become the first team to enter the GT World Cup on the streets of Macau in November. Red Bull chief technical officer Adrian Newey will race a Ferrari in a race supporting the Formula 1 French Grand Prix this weekend. Aston Martin's new GT3 car will make its race debut in this weekend's one-make event for the British manufacturer's cars on the Le Mans 24 Hours support bill. The FIA has revealed further details of its new GT Nations Cup concept, which will be held for the first time at the end of this year in Bahrain. Indian racing drivers Armaan Ebrahim and Aditya Patel have collaborated to form Xtreme 1 Racing league, a sportscar championship that will debut in 2019. Aston Martin will launch a new GT3 contender based on the new-generation Vantage GTE in the summer. Jaguar has taken the wraps off of the first GT car developed in-house in more than 50 years. Dries Vanthoor has emulated his brother Laurens by becoming an Audi factory driver. 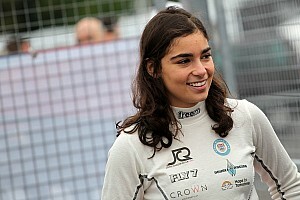 A plan for a GT3 Cup of Nations in Sochi next year has been announced by the architect of the category, Stephane Ratel.